Gluten Free products are a new phenomenon which arises as a result of new elements in diets. These products remove all ingredients that contains gluten. The manufacture of this product range is done in our completely new facilities which are entirely separated and isolated from the manufacture of the rest of the products within the ADINMIX range. Of all is known the growing concern in relation to certain compounds that can affect the food safety of the food products we consume. 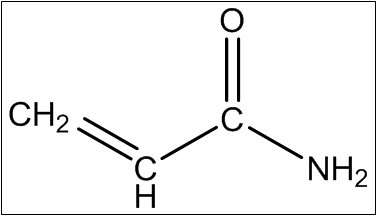 One of them, especially after the entry into force of Regulation (EU) 2017/2158, is ACRYLAMIDE, which is formed naturally by heating foods high in carbohydrates above 120 ° C.
In ALIMENTARIA ADIN we are developing formulas to obtain batters with a limited formation of the compound with respect to traditional products. On more time, Alimentaria Adin has not miss the world’s most important food innovation fair! We love being up to date! In order to continue with the continuous improvement of our Quality and Food Safety Systems, we have recently obtained the BRC certification of our production lines. Through this Certificate we intend to offer our customers an effective response to the growing demands in terms of Food Safety and increase confidence in the quality of our products. Alimentaria Adin visits again Anuga’s fair in Cologne, the world’s largest and most important trade fair for food and beverages in order to be to the latest in consumer trends. 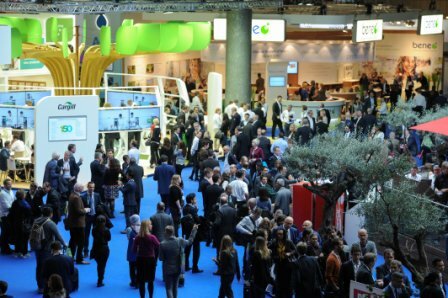 Another year, Alimentaria Adin, returns to the Conxemar fair, One of the two International Frozen Seafood Products Trade Shows most important in the world. Pódium in the Paella contest! of more of 70 paellas. In order to facilitate the use and navigation of our visitors, we have redesigned our website and modernized the use in order to adapt to all devices. In Alimentaria Adin we are participating in the project “Development of premium refrigerated fish products with innovative, healthy and crispy coatings”. This project is financed by the Spanish Ministry of Economy and Competitiveness.